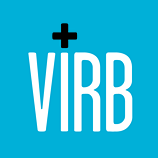 Back in February 2009, we wrote about the relaunch of Virb, a social network owned by MediaTemple’s venture platform (mt) Ventures. Instead of trying to take on goliaths like Facebook, the site hoped to offer users a complimentary social network, with features like an activity aggregator (think FriendFeed), theming, and skinning. Unfortunately, it didn’t gain much traction, so today the site is morphing once again to try to find its niche. And it’s returning as a simple, polished website builder. Try not to roll your eyes too hard — Virb CEO Brad Smith knows full well that there are already plenty of website builders out there. But he thinks that there’s room for one more. Smith explains that Virb is setting out to take the simple feature set and high quality design that Tumblr brought to blogging platforms and apply them to the creation of ‘entire websites’. Smith points to Squarespace, a popular website creation tool that just raised $38.5 million, and says that it’s still too complicated for some people. “We’re trying to come in below that demographic,” Smith says. He wants the site to be for people who want to whip up a photo portfolio, band webpage, or wedding site with no development experience needed. In addition to Tumblr’s design sensibility, Virb is also borrowing Tumblr’s ‘follow’ mechanic, with an unintrusive button that appears in the upper right corner of the site. I toyed around with the new tool, and found parts of it to be quite polished — the theme editor is slick and allows you to modify fonts and colors as you’re looking at your site, with the changes appearing immediately. 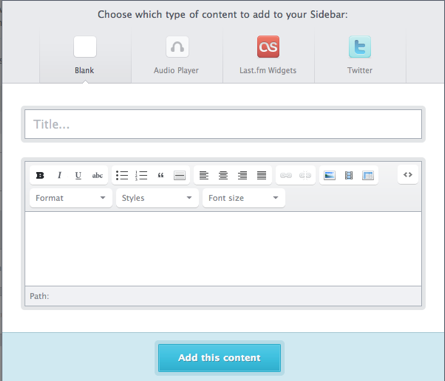 Uploading media in bulk for a photo album or to showcase your band’s new CD is also very straightforward and smooth, and the media is displayed to viewers in nice-looking embedded widgets. 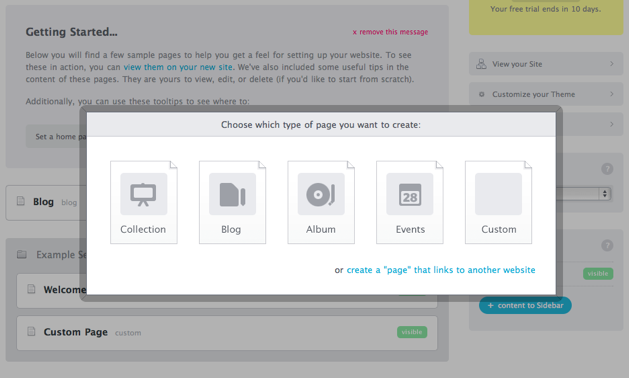 Still, I think it has a ways to go before it can really become a ‘Tumblr for entire websites’. After first entering the Virb content/page editor, it took me a few minutes to get my bearings, and the site didn’t do much hand-holding to introduce me to each feature. Granted, I figured it out in less than five minutes, but I suspect the market Virb is targeting — namely, people who want something very straightforward that ‘just works’ — may be a little more confused. That said, this could easily be remedied by a better introduction process and some UI tweaking. Virb’s other issue is that it faces many other competitors — it’s hardly the first company aiming to make website building very easy (see Weebly, Yola, Squarespace, SnapPages and myriad others) and there are services decided to helping artists build online portfolios, like Carbonmade and Viewbook. And Virb is charging money for the service (some of its competitors aren’t): Virb costs $10 a month, though users of the ‘old’ Virb will be able to subscribe for $5. All of that said, Virb could still find a place. After all, there were plenty of other blogging platforms available before Tumblr caught on.